Scents Unlimited offers discount perfumes in most popular choices. These perfumes, typically referred to as knockoffs or designer types, are not the originals, but we encourage you to try to tell the difference! We offer dozens of discount perfumes in our colognes, soaps, lotions and more! 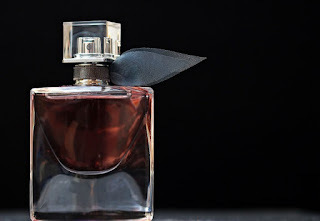 To help you choose the right fragrance for you, from time to time on our blog we will give you descriptions of the name-brand versions of the types we sell. 212. 212 was created by Carolina Herrera, a Venezuelan-American fashion designer. She has personally worked with first ladies, from Jacqueline Onassis to Melania Trump. 212 is a blend of soft white flowers and is the perfect summer cologne choice. 273. 273 is a creation of Fred Haymen for Women. It's a more refined scent, launched in 1989. It's a flowery blend of gardenia, exotic fruits, soft amber and sandalwood. It's a great choice for an evening out. Acqua di Gio. Acqua di Gio by Giorgio Armani is available for both men and women. The women's scent is a blend of floral and aquatic notes. Created in 1994, Acqua di Gio combines lilac, bergamot and peony notes, but sweet pea jasmine shines as the star of the scent. Acqua di Gioa. Acqua di Gioa, also by Giorgio Armani, is an updated version of the above scent. Created in 2010, Acqua di Gioa is the perfect choice for women in harmony with nature. According to Armani, the scent is inspired by the villas of Pantelleria and Antigua, where nature restores the body and soul. Addict. Addict by Christian Dior has been a popular fragrance since 2002. It's rich and sensual, creating a free and youthful feel. It's a lively blend of vanilla, white floral and balsamic woody notes. You will make a striking impression with this fragrance. Alfred Sung. Sung by Alfred Sung was created in 1986 but still feels as fresh over three decades later. It combines citrus, green florals and woodsy notes for the perfect daytime scent. Alien by Mugler. Alien by Mugler for women, created in 2005, is often referred to as an elixir of femininity. It's a calming scent, blended with wood and soft flower notes. It's top notes of Indian jasmine will comfort and delight. Allure. Allure by Chanel is a great every day fragrance. It's fresh and citrusy with floral notes. It's a solid, clean fragrance that is one of the most popular among women looking for a solid perfume. Scents Unlimited offers these and dozens of other fragrances for a fraction of the cost. Browse our discount perfumes today and like us on Facebook for beauty tips and special offers!